Available in selected designs in Sterling Silver, 180g Silver Plated and 18/10 Stainless Steel. Special anniversary sale prices on 30-piece Sets, 71-piece Sets and 127-piece Sets. Please click SALE on top of the page for other offers. 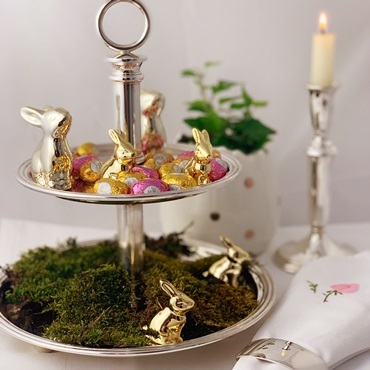 Shop our Easter Sale: WILKENS finest Tableware and decorative Table Accessories in Sterling Silver, Silber Plated oder Stainless Steel - assorted Styles and designs. The tradition of fine dining has brought people together for centuries and generations. 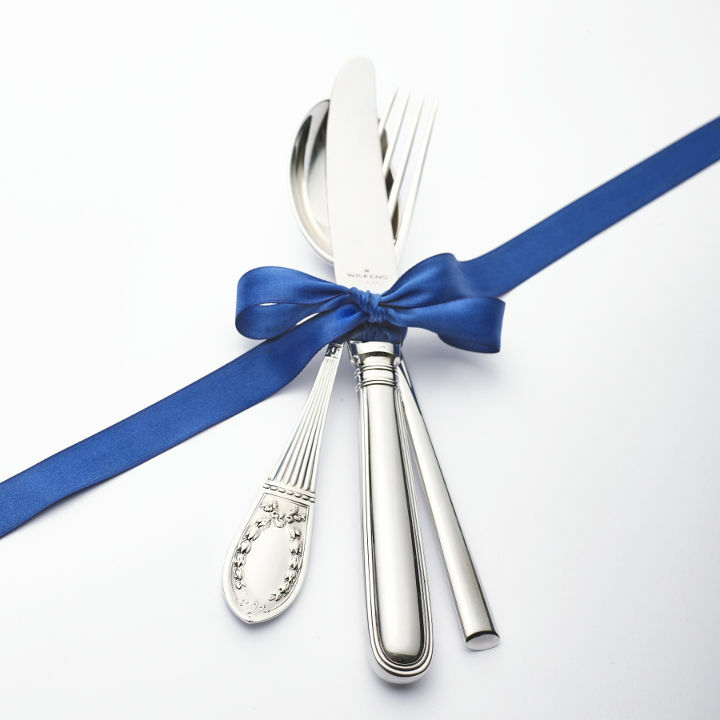 WILKENS Silverware has been a staple in fine dining since 1810. Located in Bremen, Germany, with centuries of experience in producing the finest Silver Cutlery, the WILKENS Silver Manufacture offers the comprehensive collection of cutlery patterns and fine dining accessories. 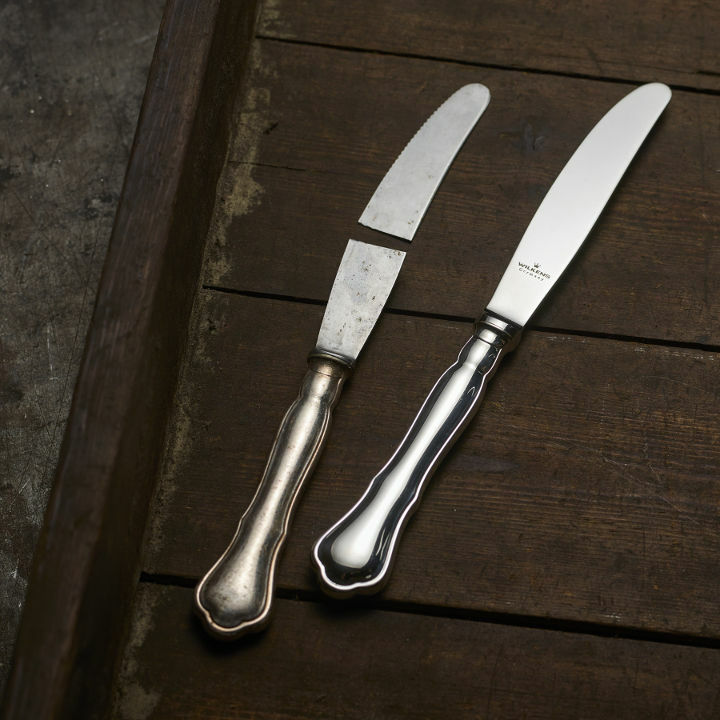 Delivering excellent craftsmanship, the largest selection of historic patterns and timeless designs is our priority, each item of Cutlery is handcrafted and finished to the highest standard to help ensure you have the greatest fine dining experiences possible. Let yourself be mesmerized again and again by the beautiful lustre and shine of a tradtitionally handmade piece of WILKENS Sterling Silver or Silver Plated Flatware on your diningroom table! 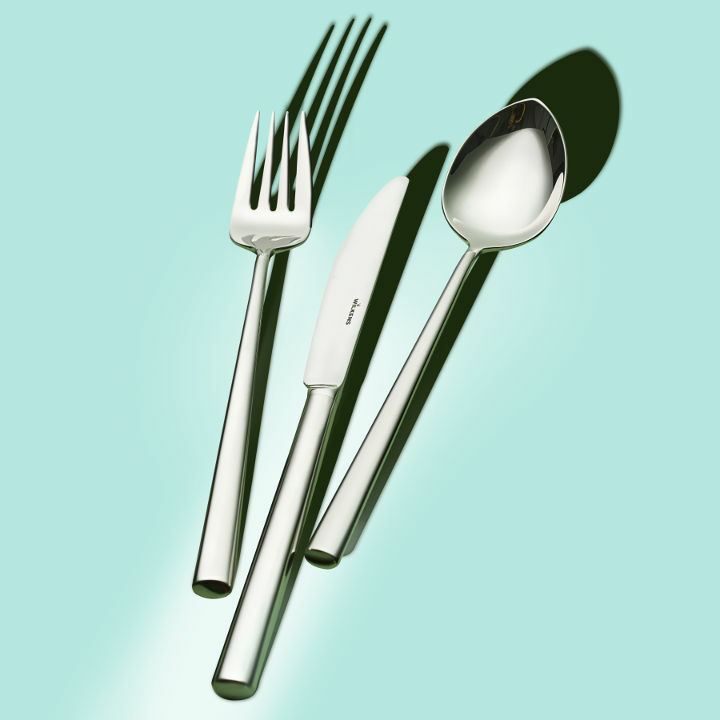 Worldwide unique: Silver-plated cutlery with a WILKENS 180g silver plating. Our goal is to create lasting values for generations - outstanding quality is our commitment. As the only silver manufacturer in the world, WILKENS applies a total of 180 grams of the purest fine silver to a 24-piece cutlery as standard and thus realizes the most solid and qualitatively best possible silver plating for silver-plated cutlery in innovative craftsmanship: the WILKENS 180g silver plating. Since 1810 our passion lies in manufacturing of fine silverware and cutlery. Personal commitment, outstanding talent and the remarkable sense for technical perfection have formed one of the largest and most extensive collections of historical and modern cutlery patterns today. With great attention to detail, we strive to preserve our large collection of historical and traditional cutlery forms and patterns. Our historic cutlery designs are still individually crafted by hand on original tools. With our wide range of original tools we are able to fulfill a broad spectrum of special requests far beyond our WILKENS top sellers such as Augsburger Faden (Thread), Palladio, Chippendale or Spaten (Spade). Our commitment to every engraving: Perfection! 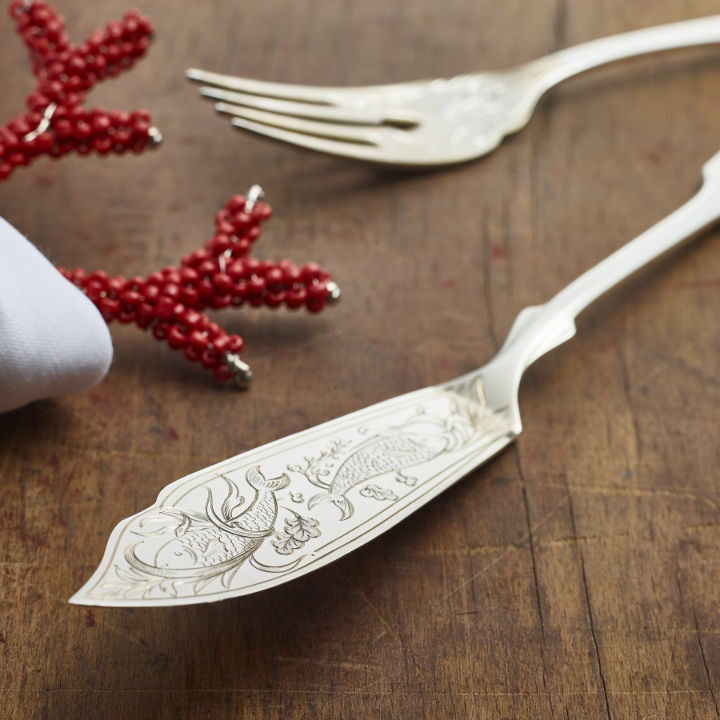 Whether crest, logo, monogram or ornament – personalised and individual engravings make each piece of cutlery unique. Our highly experienced engravers will apply your chosen motives carefully and precisely by hand, paying closest attention to every detail. With over 200 years of experience and tradition we pride ourselves on the finest quality silver manufacturing and craftsmanship. Your family silver is important to us! Our team of qualified silversmiths will give the greatest care and attention to your silver and silver plated items. 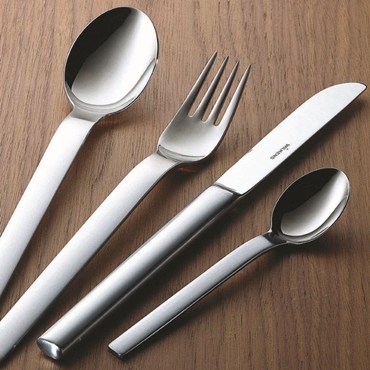 Make your silver cutlery shine again in new splendour by having it professionally polished. We also repair broken knives or other cutlery items. If an item has gotten lost, we can reproduce missing individual flatware pieces in their original shape, form and designs, and help you complete your cutlery set again – preserving a piece of family heirloom. 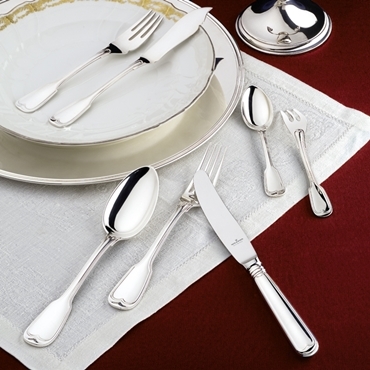 Since 1810, WILKENS Silver Manufacture is known for highest-quality Sterling Silver cutlery, Silver Plated Flatware, Stainless Steel Cutlery and Silver Tableware. Being the oldest established silver brand in the world, we are proud of over 200 years of the best craftsmanship tradition with the highest standards of material and craftsmanship, and of the most extensive selection of historical and modern cutlery patterns.